The “chomper truck” will be in Downtown Citizens Bank’s parking lot and you can watch as it makes “mincemeat” out of your paper clutter. 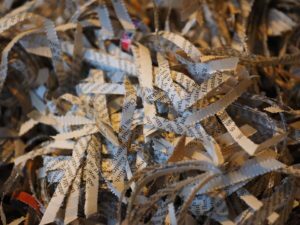 So, clean out all that paper “stuff” that annoys you and bring it to the Shredding event. Special thanks to iSecure’s Scott Krause generously offering this free service so that DCA can make it available to our Corvallis friends.